Autokit supply and fit steel bullbars. Bullbars available are single loop, triple loop fleet and triple loop premium bars and new to the list...no loop, depending on what vehicle you own. 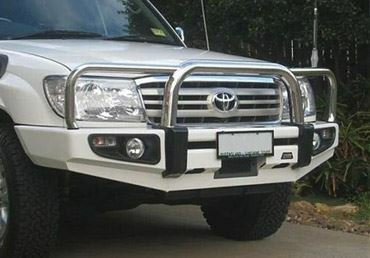 The brands used are Opposite Lock, Outback accessories and Dobinsons. Although steel bullbars are heavy, they are mega strong! 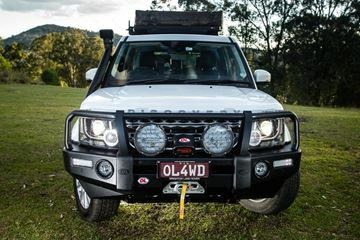 2013 Landrover Discovery 3 Opposite Lock steel winch compatible steel bull steel bull bar, this is one capable off roader, call for a quote for your Discovery Today! 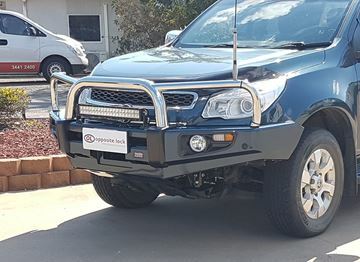 2013 Nissan D22 Navara Dual cab triple loop premuim steel winch compatible bull bar with fog lights, standard with under bumper guards, full bumper replacement, call for a quote today! 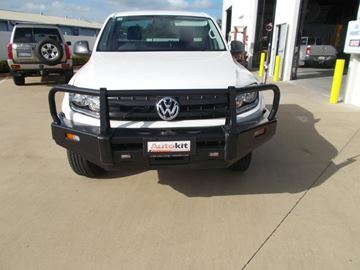 2014 VW Amarok Triple Loop Opposite lock steel winch compatible bull bar with fog lights, fits awesome, has front parking sensors, call for a quote today! 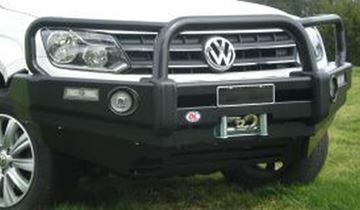 2015 VW Amarok Dobinson's classic black steel winch compatable steel bullbar, protect your vehicle from the un-expected, call for a quote for your vehicle today!!! 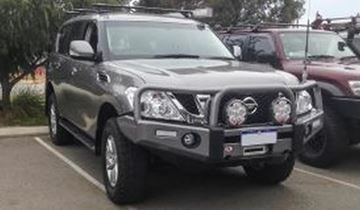 Y62 Nissan Patrol Opposite lock color coded steel winch compatible steel bull bar with fog lights, call for a quote for your vehicle today! 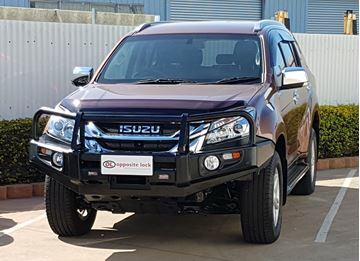 Isuzu MUX Classic black deluxe bullbar with fog lights.This is a full replacement bullbar, suits the factory front parking sensors, winch compatable, spot light mounts, 2 x uhf mounts and fog lights to compliment the vehicle......this is a brand new release, call for a quote for your MU-X TODAY! 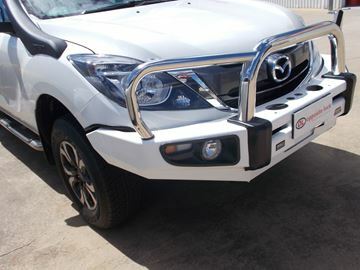 Dobinsons black deluxe steel bullbar to suit Mazda Bt50, a good practical product with a great price, call for a quote today. This product is also availble in powdercoating. Dobinsons 2013 Isuzu D-max black steel deluxe bullbar with fog lights supplied and fitted. 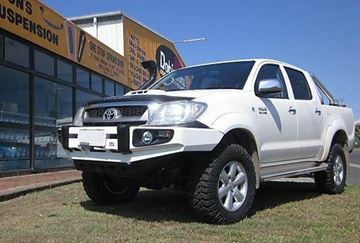 These bars are a full bumper replacement and look supurb....call for a quote today! 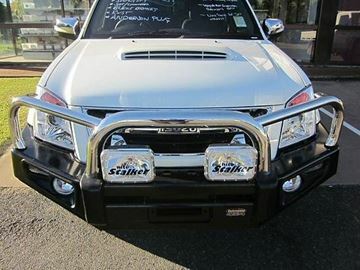 Color coded steel winch bar/ single stainless sahara look bullbar to suit Toyota Hilux dual cab. Looks Fabulous, call for a quote for your vehicle today! 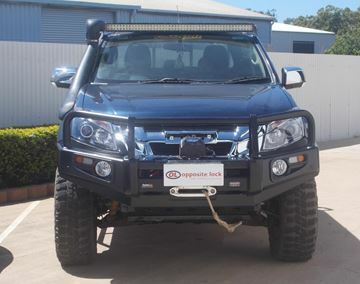 Holden Colorado Dobinsons stainless loop deluxe bullbar with fog lights, winch compatable, uhf aerial tags, spot light mounts, including the Under body protection that is standard with this bullbar. this is a brilant product at a realistic price, call for a quote today!!! 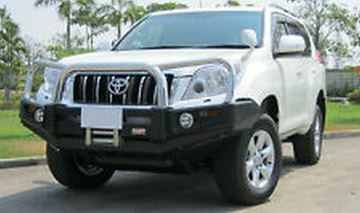 Dobinsons stainless loop deluxe winch compatable bullbar to suit the 150 series prado with fog lights. Dobinsons is know for being great value for moeny.